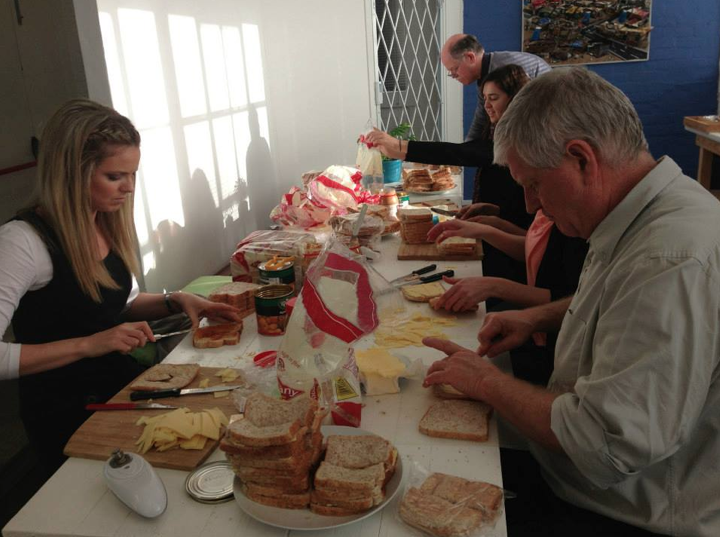 Yesterday the Paddocks Team made over 100 sandwiches to donate to St Annes Shelter in Woodstock. Mandela Day was a great reason for us to do something to ‘give back’ to people less fortunate than we are. or is there a specific disease which has affected you or someone close to you? Once you’ve narrowed this down you can research specific charities or organisations that need volunteers or donations and decide which one you’d like to give your time and/or money to. 2. What skills do you have that those less fortunate could benefit from? For me, I have legal skills. When chatting to a friend of mine about how I could give back she said I’d be crazy not to donate my legal skills somewhere. Almost anyone can walk dogs at an animal shelter or help build a house, but only trained lawyers can properly assist people with legal problems. I think this advice is GOLD. If you’re lucky enough to have valuable skills – use them in your giving back. If you’re a doctor, you could volunteer at a free clinic. If you’re a psychologist, you could counsel abused women. If you’re a marketing genius, you could help a charity increase its exposure. If you’re an accountant, you could help a charity with its bookkeeping. How do you decide where to give back? Tell us in the comments below. I’ve had a long and varied career. Amongst my strengths are administration skills, personnel and training experience, communication skills, knowledge of safety and security; chairmanship and minute-taking What better way to use this package of hits and pieces than to serve as a Trustee (and sometime Chairman) in my retirement village? This entry was posted on July 19, 2013 by Paddocks in Inspiration, Legal, Lifestyle and tagged giving back, How to decide where to volunteer, Paddocks, Use your skills to give back.